Welcome to Amy Air, the affordable experts in residential air conditioning for all your Heating and Cooling solutions. Our experienced team takes pride in a fast, efficient service and we are equipped to get the job done right the first time. 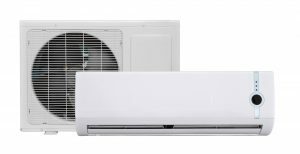 We provide the latest technology in Air Conditioning including touchscreen pads, remote controls, and wireless thermostats. We understand the importance of individuality as each home requires a different design, let our team design and install the most efficient unit to suit your needs helping you get the most out of your system. Let us call out for a free quotation today by filling out this quick form or calling us on 1300 134 892. Type of system needed: Ducted System, Split System or Ceiling Cassette? Request a free quote to see how we can help you! Click here to view current deals and discounts! Fremantle to Perth & Surrounding areas. Website created by Marc Copes.